If your eyes are healthy and vision is good, have a complete exam by your Eye M.D. once in your 20s and twice in your 30s. If you experience an infection, injury, eye pain or unusual flashes or patterns of light, or another condition, visit your Eye M.D. for treatment and follow his or her recommendations for follow-up exams. Exceptions: If you wear contact lenses, see your eye specialist annually. 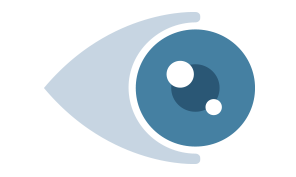 If you have diabetes or have a family history of eye disease, talk with your Eye M.D. regarding how frequently your eyes should be examined. Early signs of related eye diseases, including cataract, glaucoma, diabetic retinopathy, and age-related macular degeneration can begin in midlife but often do not noticeably affect the vision until later. Therefore, it is important to get a baseline comprehensive eye exam at age 40, even for people who have no symptoms or known risk factors. Your Eye M.D. will recommend follow-up exams based on your family history and the results of the baseline exam. By age 65, one in three Americans will have a vision-impairing disease. 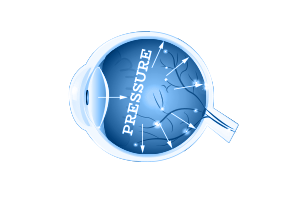 The earlier these are discovered and treatment begins, the better the chance of preserving good vision. People who are diabetic or pre-diabetic need to have regular eye exams and work with their doctors to control weight and blood sugar as well as blood pressure and cholesterol levels. It is important to have a complete eye exam with your Eye M.D. every year or two after age 65 to check for age-related eye diseases such as age-related macular degeneration, diabetic retinopathy, glaucoma, cataract, and other eye conditions.